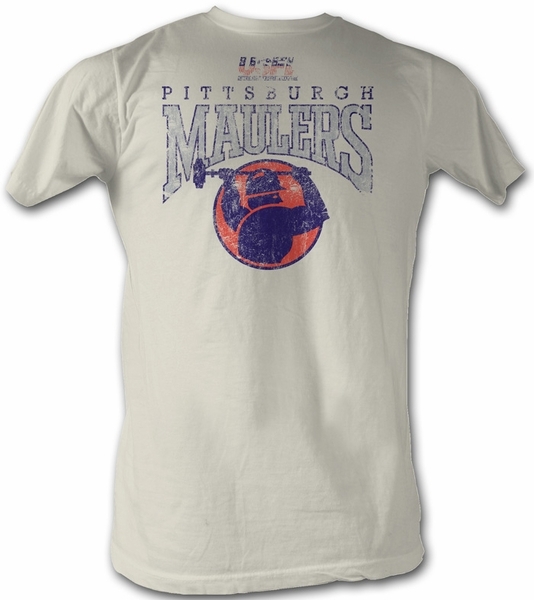 This USFL Vintage White T-shirt features a retro image of the Pittsburgh Maulers. Our United States Football League T-shirt is an incredible adult t-shirt for any USFL fan. The USFL is an awesome American Football League that played in the spring/summer season. Mike Rozier of Nebraska, was the running back for the Pittsburgh Maulers who won the Heisman Trophy.